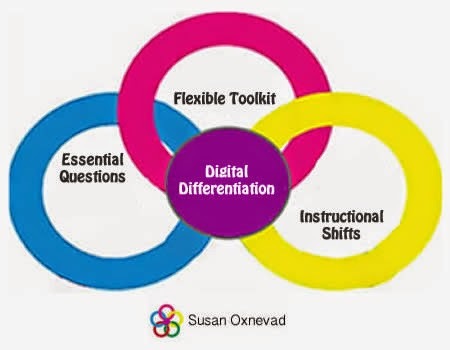 This Digital Differentiation model is my original example of weaving a web of flexible tools together for teaching and learning. The model was designed in February, 2012. To keep the model relevant, it is frequently updated as new tools and trends emerge. Technology is a tool that can be used to help teachers facilitate learning experiences that address the diverse learning needs of all students and help them develop 21st Century Skills. At it’s most basic level, digital tools can be used to help students find, understand and use information. When combined with student-driven learning experiences fueled by Essential Questions offering flexible learning paths, it can be the ticket to success. 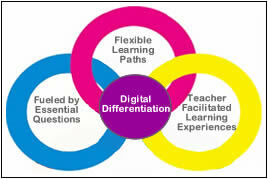 Here is a closer look at three components of effectively using technology as a tool for digital differentiation. The goal is to design student-driven learning experiences that are fueled by standards-based Essential Questions and facilitated by digital tools to provide students with flexible learning paths. Essential Questions: Student-driven learning experiences should be driven by standards-based Essential Questions. These questions should be open-ended to allow for flexible learning paths. Devise question by looking at the standards that determine what we teach. Click on the tiny circles in the graphic for more information. Use digital tools to provide students with flexible learning paths to meet their unique learning styles. Note: The image below is powered by Thinglink. Click on any smaller image to jump to the interactive version and find resources. The role of the teacher shifts to facilitate student-driven learning experiences. This new role allows teachers to maximize instructional time because the classroom structure provides opportunities for frequent interaction with individual students for assessment, modification, reteaching and enrichment. Try Flubaroo to automate and add functionality to the GoogleDocs Self-Grading Quiz. The GoogleDocs Form is an efficient way for teachers to collect small pieces of information because it automatically displays the information in a spreadsheet. Teachers can add formulas to those spreadsheets to create multiple-choice quizzes that grade themselves. 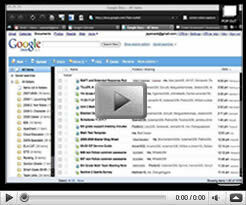 Since a form can be linked or embedded into a website, wiki or blog, students do not need email accounts to take a quiz. The form works well on any portable computing device or full-blown computer which makes it perfect for use as an Exit Ticket at the end of a lesson. One simple 3-5 question Exit Ticket Quiz has at least three great uses. Provide students with immediate feedback to increase motivationGive students a quick self-grading quiz at the end of a lesson, spend less than 5 minutes collecting the grades for an unlimited number of students, then publish the spreadsheet of results. Teach students how to use The Find Tool (control + f) to quickly find their score and significantly raise the stakes to increase student motivation. Please note: To avoid public humiliation and hard feelings I suggest you require students to sign in with some sort of unique identifier, in addition to their name. Before you publish the results, always remember to hide the name column. Gauge student understanding and the effectiveness of your lesson Results collected using the same self-grading quiz can be used for planning,reteaching, modifying and providing students with enrichment from both a big-picture and a detailed point of view. To look at the big picture, choose Form > Show Summary of Responses from the menu bar and view the results in the form of a graph for each question. To examine specific student results, sort the spreadsheet by question to identify the students who have mastered each question. If you are using video tutorials or digital resources to reteach, you can even link those resources right to each question on the spreadsheet to provide students with easy access to support. Give students a chance to voice their opinions, concerns, and questions. Although an open-ended question won’t grade itself, you can provide an optional “paragraph” style question l at the end of the Exit Ticket to give students a voice and opportunity to communicate with you about their learning. Since the self-grading quiz has provided you with freedom from grading papers, you can use the extra time to listen to collect personal feedback and respond appropriately. Copy and paste student questions into a follow up document and make note of repeated questions to identify common concerns. If you don’t know how to create a Google Doc Self-Grading Quiz, you can learn how by using this awesome video tutorial, created by jspevack. A good tip for this type of learning is to set up your screen with two windows, side-by-side, and actually try to create the quiz as you go through the tutorial. Remember to use the pause button to learn at your own pace. 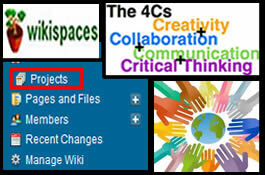 Last fall Wikispaces added a new feature to the free education version of their collaborative website platform called Projects. Designed specifically for classroom use, this new feature has streamlined the process of organizing and implementing collaborative projects by allowing wiki organizers to set aside designated space for project based team work. With the push a button, wiki organizers now have the ability to setup a project, assign students to teams, control editing and viewing privileges for each team space, and utilize templates created specifically for that project. Basically, the Projects feature allows organizers to create a wiki within a wiki! How can educators use this new feature to streamline the process of managing and implementing collaborative projects? Wiki organizers can create new projects right within an existing class wiki, rather than creating a separate project wiki to keep things organized. A project template can be used as a starting point or home page. Each team space will have their own copy of the page which means they can interact with it, instead of just viewing it. Templates can include text, graphics, multimedia, links and any number of embeddable resources. Imagine an interactive, multi-media project rubric students can use to document work and self-evaluate as they go. Teams of students can easily create new pages within their team space that are automatically linked to their home page for easy navigation. These pages can be unique and designed by students, or they can be modified templates created by wiki organizers to guide the learning and provide consistency. Team members can hold discussions with each other that are independent of the other parts of the wiki and found in one location for easy access. Organizers have the ability to participate in each team’s discussion to provide students with immediate feedback and guide a project in this 24/7 classroom. Wiki organizers can save time by creating templates and resources that can be used the next time the project is implemented, or modifying those templates for similiar projects. Basically the Projects feature gives organizers the ability to turn a wiki into a tool that drives the classroom, providing one-stop shopping for communication, collaboration, critical thinking and creativity! If you are already a Wikispaces user and you are interested in trying this new feature, please note that you must have an educator account to view and access the Projects link in the sidebar. It’s also important to do some prep work and planning before attempting to setup a project, so taking the time to fill out a lesson plan will prove helpful in the long run. You’ll need to come up with team names and decide how many students will be included in each team. The most important thing to note is this: If you want to provide students with a project kickoff page, create that page first, then turn it into a template before setting up the project. 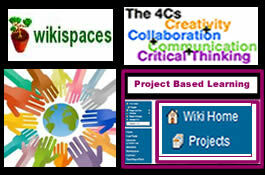 educator account at wikispaces.com. If you need more information about why you should try a wiki, or if you would like to view some sample wikis, please read my earlier post: Wild About Wikispaces.